2 Bdrm 1st flr Flat. V/bule. Kitch. Lounge. Bathrm. 2nd flr: 2 Bdrms (CT band - A). Price around £87,500 Entry by arr. Viewing contact solicitors. (EPC band - G). 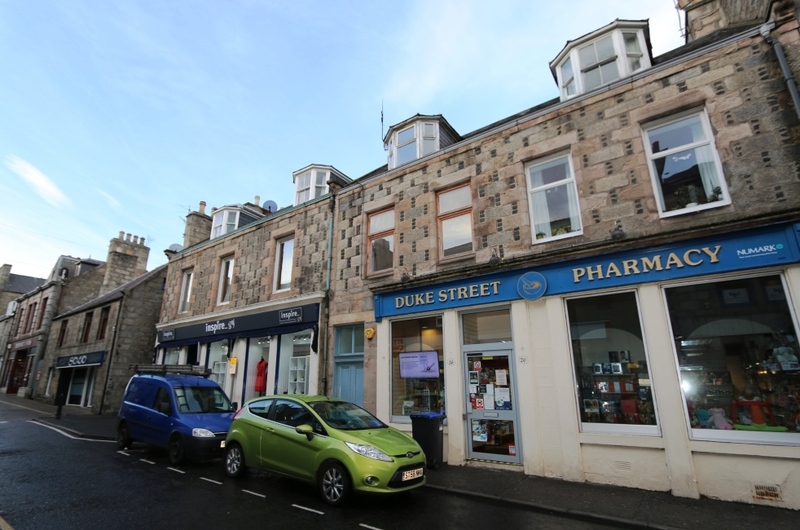 We are pleased to offer for sale this spacious FIRST AND ATTIC FLOOR flat situated in the town centre of Huntly. 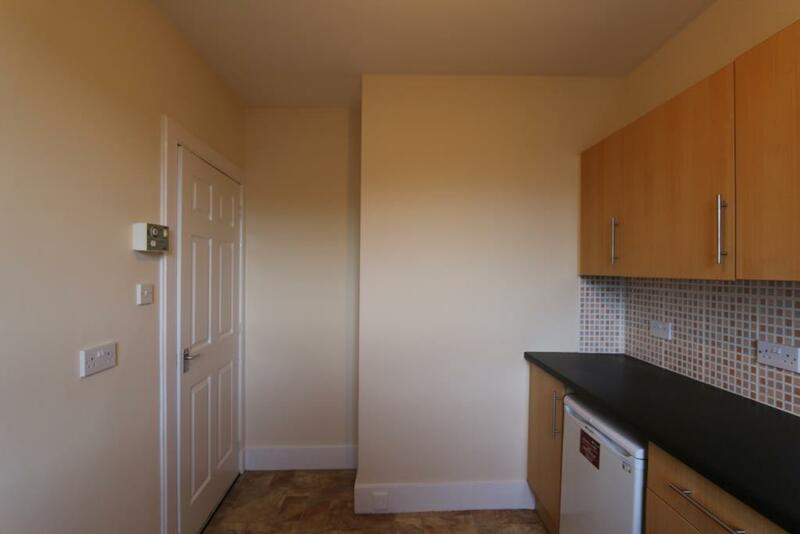 The accommodation comprises 2 double bedrooms, lounge, kitchen and bathroom.Externally there are communal gardens to the rear. 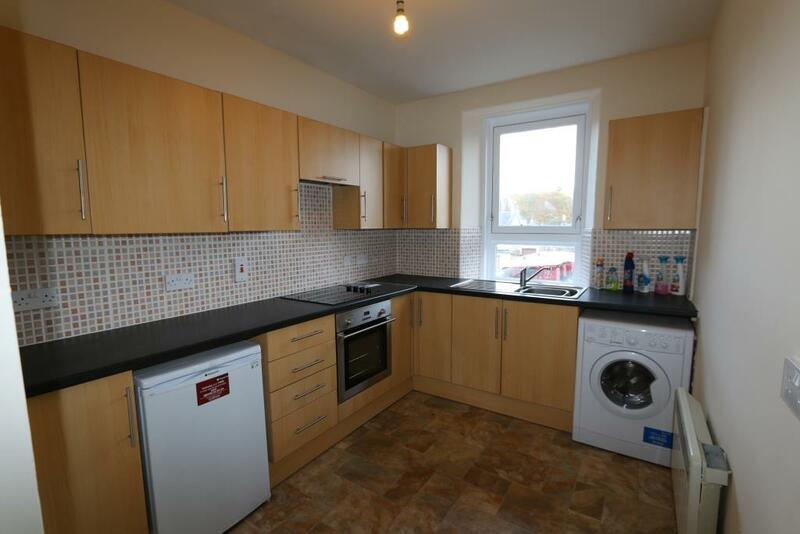 The property would be ideal for first time buyers or those looking for a buy to let opportunity. Viewing is highly recommended. ENTRANCE VESTIBULE. 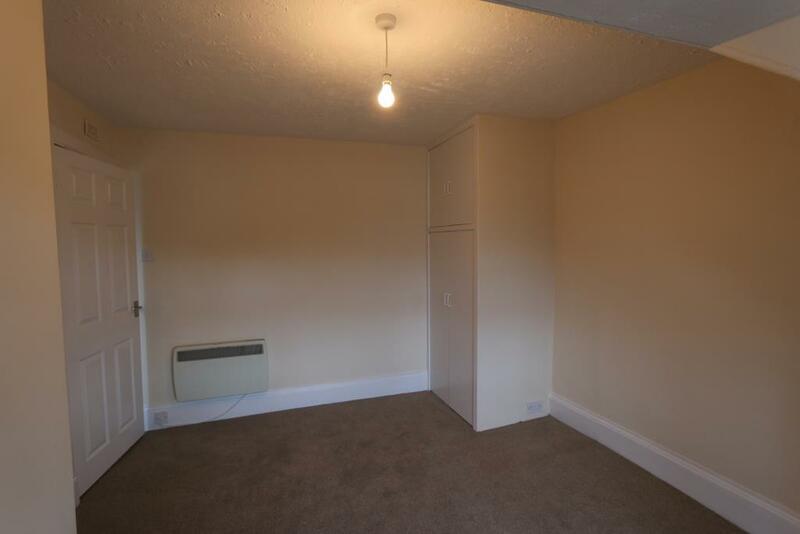 Leading to all accommodation with fitted carpet, electric storage heater and ceiling light. Huntly is a long established and prosperous market town on the main A96 road approximately 39 miles from Aberdeen and 59 miles from Inverness. It is within easy commuting distance of Aberdeen, Inverness and Elgin and is on mainline rail and other public transport networks. Amenities include a Community Hospital, a choice of major Supermarkets and Sports and Leisure Facilities (including dining out, golf, fishing on the rivers Deveron and Bogie, bowling, cricket, football, swimming pool, skiing at the Nordic Ski Centre and many more). There is Primary and Secondary Education at the well regarded Gordon Schools. The town has a visible history with lovely traditional architecture, National Trust sites nearby and is a popular tourist centre during the summer months, giving easy access to the Grampians, Cairngorms, Royal Deeside, Strathdon and the Moray Firth. KITCHEN Measuring 2.45m x 3.6m or thereby. 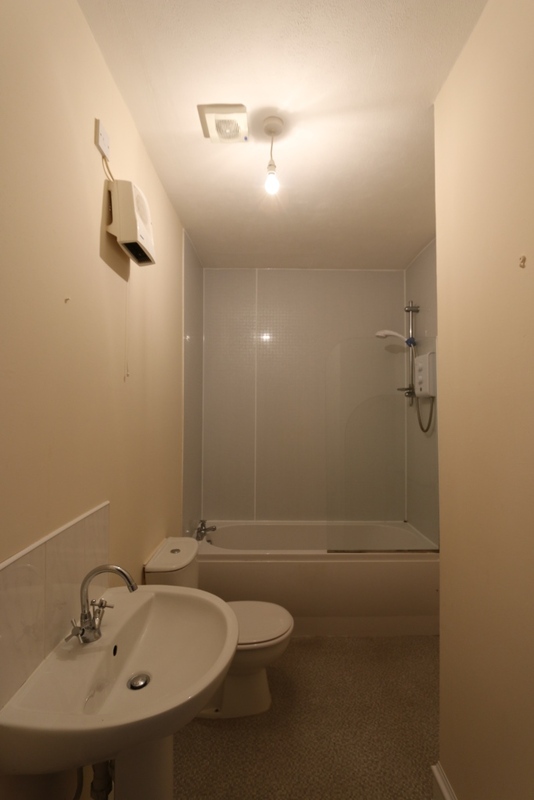 With fully fitted wall and base units and tiling around worktops, integral oven & hob, space for fridge freezer and plumbing for automatic washing machine.Stainless steel sink with mixer tap, electric panel heater, ceiling light and window to rear. LOUNGE - Measuring 4.67m x 4.42m or thereby. 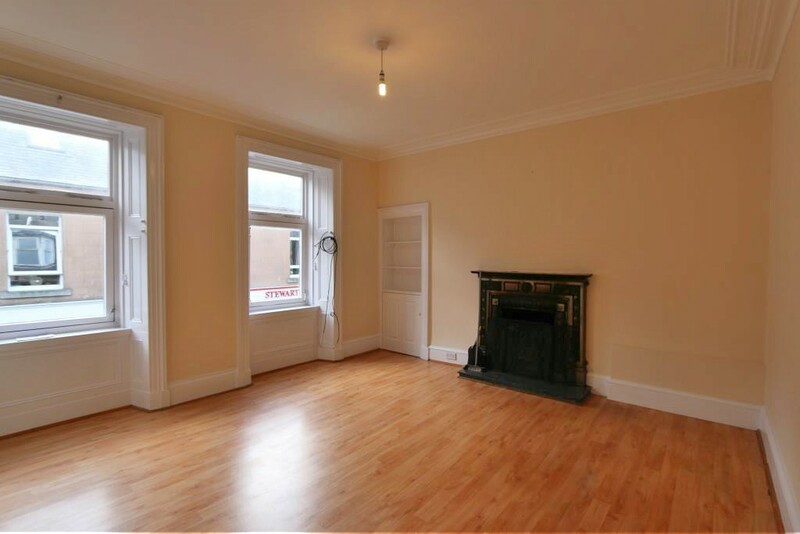 Spacious lounge with 2 front facing windows, laminate flooring, inset alcove with shelving and cupboard below housing electric meter. Decorative fireplace, electric storage heater, telephone point. BATHROOM 3 piece suite comprising bath with over bath electric shower and wet wall surround, toilet and wash hand basin. Vinyl flooring, fan and towel rail. 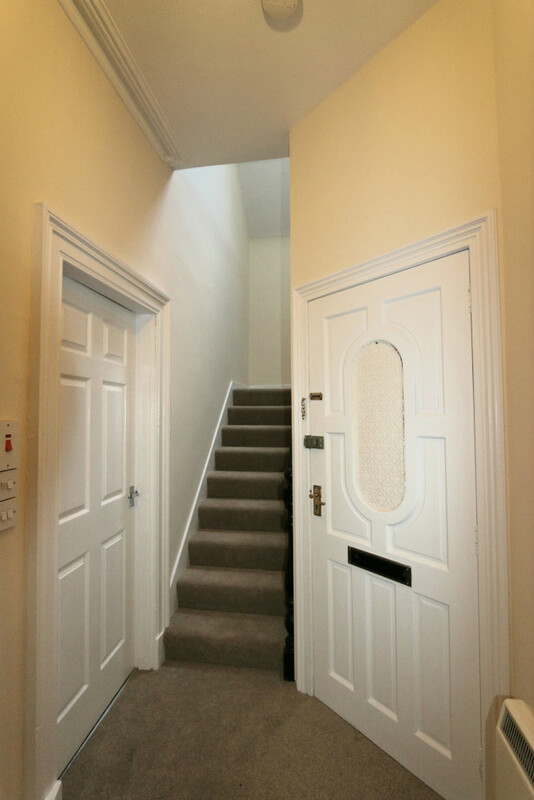 Stairs to 2 floor; Carpeted staircase with iron banister leading to 2nd floor accommodation, velux style window. BEDROOM 2- Measuring 4.39m x 3.16m or thereby. 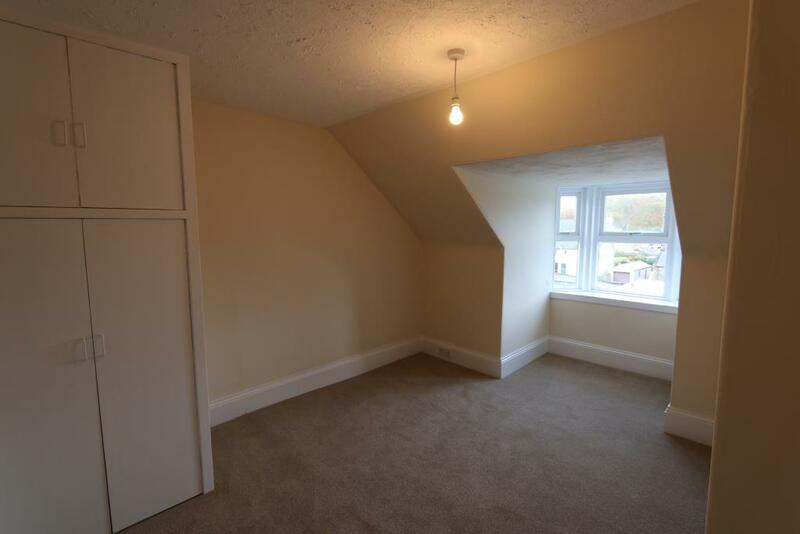 Double bedroom with bay window to rear and built in storage cupboard with shelving which houses hot water tank. Fitted carpet, electric panel heater. BEDROOM 1 Measuring 4.93m or 4.65m or thereby. 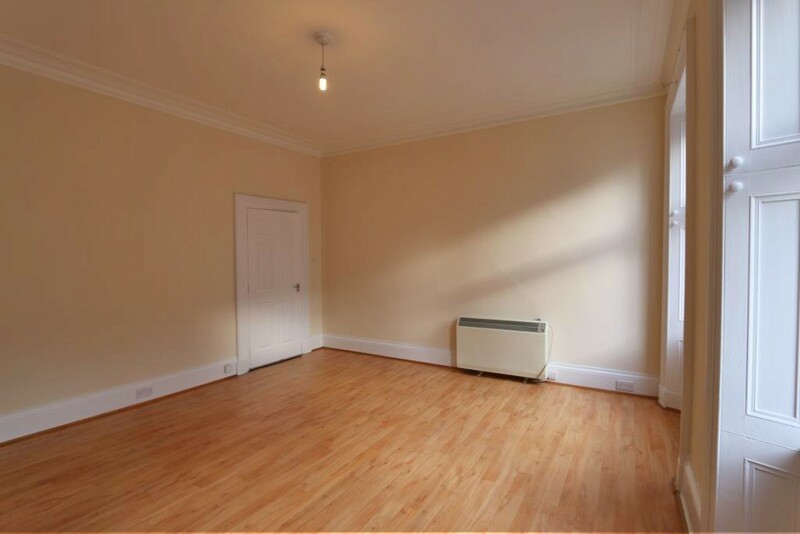 Spacious double bedroom with bay window to front, fitted carpet, electric panel heater. OUTSIDE There is an area of shared garden ground to the rear. 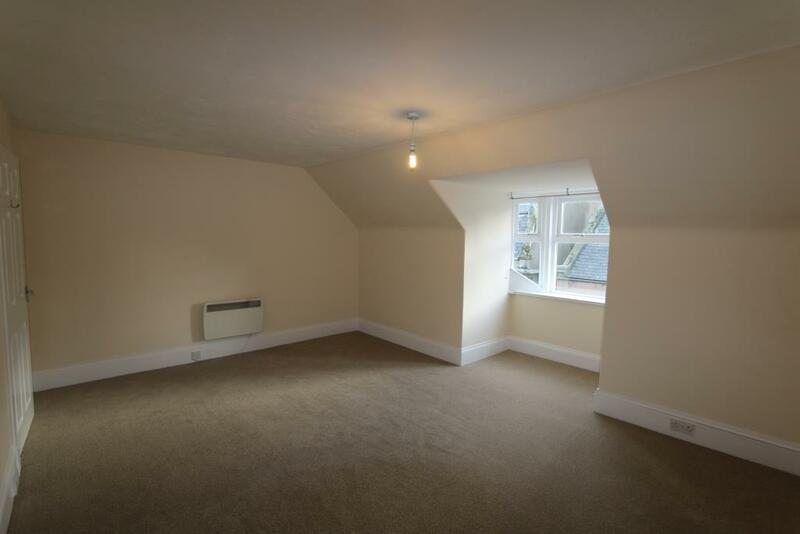 FEATURES CENTRAL LOCATION ON MAIN SHOPPING STREET MINUTES FROM THE TOWN CENTRE. NEWLY DECORATED AND CARPETED. WALK IN CONDITION. ELECTRIC STORAGE AND PANEL HEATING. AMPLE POWER POINTS THROUGHOUT. ALL CARPETS, FLOOR COVERINGS TO BE INCLUDED IN THE SALE.